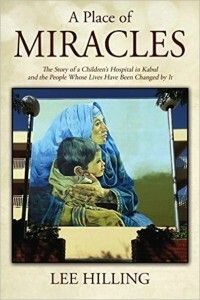 Arising during a time of seemingly never-ending war, the French Medical Institute for Children (FMIC) is one of Afghanistan’s most remarkable success stories. It has become the enabling catalyst for lives to be changed and dreams to be realized – a place where people have succeeded and survived against overwhelming obstacles and odds. The FMIC is the result of an innovative public-private partnership between the Aga Khan Development Network (AKDN), Government of Afghanistan, the Government of France and La Chaine de L’Espoir. Lee Hilling has been Chairman of FMIC’s governing body since 2006 and has travelled to Afghanistan nearly sixty times. He has held board and senior executive management positions at academic health centers in the United States, Pakistan, and East Africa. A native of Ohio, he now lives with his wife in Bethesda, Maryland. Presented by the Aga Khan Council for Canada. Free Admission. Registration is required for this event.